All businesses are going to require some dispute resolution (DR) eventually, be it with clients, suppliers, government, or internally among management and/or employees. Businesses that successfully navigate the DR minefield usually employ good DR practices. Those whose operations become impaired, paralysed, or even bankrupt while trying to resolve disputes often tend towards the bad and ugly side of the DR practice world. 1. THE GOOD - Draw Up a Written Business Agreement Long Before any Dispute Arises that is Detailed Enough for Everyone to Know their Rights and Responsibilities, and Not so Detailed that No One Can Understand the Agreement. Sticking with purely oral agreements where lots of money is at stake only invites problems in the future when the parties all have different recollections of what really was agreed to. Such written business agreements can apply to clients, suppliers, or internally to a company organization itself. Now I know that while some degree of trust may make the business world go round, and that every aspect of business dealings can never be committed to writing (as much as the lawyers might wish it so), setting out the basic ground rules of any relationship isn't such a bad thing at the outset. No need to get too complicated here on putting things in writing - better one page of text that is a little on the vague side but that everyone has read and understands, than 100 pages that no one will ever read or understand (other than the lawyers who drafted it, who themselves might be a little light on understanding if they couldn't agree on definitions for key terms). 2. THE BAD (maybe) - Deal with the Dispute Yourself. Before a disagreement turns into a dispute, I absolutely advocate dealing with it yourself. Turning a disagreement which might be easily resolved through a personal touch, a little goodwill, and a fair bit of compromise over to a third-party is a good way to guarantee it will turn into a dispute, because the third-party may not have the personal relationship, goodwill or ability to compromise which you as a business owner or manager possess. 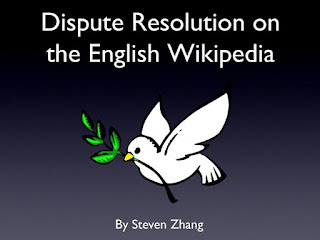 But once you are faced with a full-blown dispute, some professional dispute resolution skills, plus a bit of objectivity, may be called for. In Ontario if the dispute goes to litigation you may legally be required to retain a lawyer to represent your corporation if you are in a court higher than Small Claims court (natural persons can represent themselves at any level of court, but not "legal" persons like corporations). hat same "other side" that you felt so slighted by could, in fact, be the aggressor in court, sue you, and win because of your breach of agreement. Arguing they breached first may not save you. Whether a breach really is a breach is in the eye of the beholder, and not all breaches are created equal. There's nothing wrong with anticipating disputes in advance, and committing to writing how those disputes will be solved. Be it Mediation, Arbitration (binding or non-binding), the Courts or Arm-Wrestling, the means of DR could each be rungs on a ladder ultimately leading to litigation, but by forcing to parties to first try out some DR short of full-blown litigation, the DR process may be wind up be much shorter and cheaper. 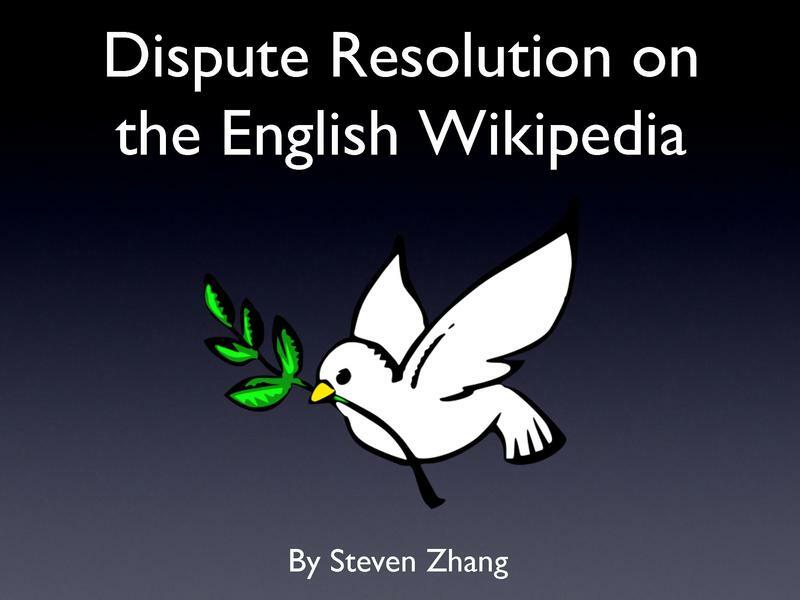 ADR (Alternative Dispute Resolution, sometimes more recently referred to as Appropriate Dispute Resolution) is increasingly "hot." Everyone (or at least everyone's lawyers) seems to want to throw ADR clauses into their business agreements, fully confident that ADR is a panacea to clogged, expensive and at times apparently unjust court systems. The people signing these agreements expect ADR to be fast, cheap, and always lead to justice because they get to choose the decision maker. While a little ADR is always a good thing, as ADR can be as simple as forcing all the parties in a dispute into the same room (or at least adjoining rooms) to attempt to negotiate a mutually acceptable solution prior to enriching lots of litigation lawyers, packing business agreements with mandatory use of binding three arbitrator panels for every type of dispute can wind up being slower, more expensive, and less "just" than the courts! How so? Because in court-based litigation, the mandatory rules of court impose strict timelines to push cases forward. Sure those rules can occasionally be abused to drag out a case, but in arbitration there are no rules other than the rules agreed to by the parties. What if one party in arbitration does everything possible to drag out the appointment of an arbitrator? Where are you going to go to insist an arbitrator gets appointed? Why, to those very courts you are trying to avoid! But the only thing your expensive visit to court will accomplish is to jump start the ADR process, rather than resolving the underlying dispute. And what if once you finally get your arbitration judgment, the other side refuses to accept it? Well, you'll be headed back to court yet again! Most importantly from a DR costs perspective, in court you only need to pay for your lawyer, not for the judge, court staff, courtroom, and all the other myriad court support costs. In arbitration, you're stuck paying for everything yourself! And if you have decided to stick in a three arbitrator clause in your business agreement, thinking somehow that the result of three people's thinking will be fairer than one (usually because each side picks one arbitrator, and then those two arbitrators pick the third arbitrator), have you really calculated what paying for three judges is going to cost? Or how difficult even finding three well qualified judges is going to be, not to mention aligning their respective schedules, unless your business is located in Toronto? And what if you have to start paying travel fees for all of them? So think twice before putting any form of mandatory ADR in a business agreement. Make sure you know the true implications of an ADR clause. And especially be careful about requiring three arbitrators, unless you contemplate them settling a multi-multi million dollar dispute, where their costs will be a minor component of the amount of money at issue. It's always good to agree in advance on which courts will have jurisdiction over a dispute. Don't mention jurisdiction in a business agreement, and you could wind up having to defend a civil suit launched against you in Texas. Usually the party drawing up the contract will insert the court jurisdiction for the location where its head office is located. Sometimes jurisdiction can be the subject of negotiation (you could even agree to two jurisdictions as alternatives). Within Canada, while there are significant differences between the laws of various provinces, what you most want to avoid is litigation in a foreign country, where the law will be dramatically different and your Canadian legal counsel will no use to you at all. Small claims courts have quite limited jurisdiction. They are usually restricted to monetary damages or the payment of money, and their upper monetary value won't be any greater than $25,000 in Canada (and in many parts of Canada is a lot less than that). But for bang for your buck, small claims court is a whole lot cheaper and quicker than higher courts. Even if you're owed more (even way more) than 25K, it's a good idea to stick with Small Claims limits. The most important limitation about Small Claims court is that you usually can only claim money or the return of property, not something more creative like an injunction (where you'd have to go to Superior Court). Regardless of whether you are using an ADR or court-based dispute resolution process, narrowing down the issues in dispute will save you money. First, try to toss out any issues that aren't "legal issues" or "justicible" - meaning no court is going to decide on them. Second, attempt to agree with the other side on "the facts" - the majority of negotiation, mediation, arbitration or court time may be wasted while the parties disgorge dumptruck loads of evidence concerning facts that aren't really in dispute. Third, try to identify the key legal issue(s) that will make or break the case, and get rid of the collateral issues. You can waste of lot of money paying your lawyer to prove you are legally in the right over an issue that doesn't determine the key legal issue in dispute. In some cases the only real issue at the end of the day is whether any damages were really suffered as a result of one of the party's conduct, and how much those damages should be.